Tesla Model X’s panoramic windshield was one of the biggest ‘surpise feature’ unveiled at the production launch in September last year. In previously unveiled prototypes, the Model X was featuring a normal windshield, but the production version is equipped with a panoramic windshield extending all the way above the driver and front passenger seats. While it’s unfortunate for Bobby, it gave us an occasion to learn about the replacement cost. He said that his local Tesla service center quoted him $2,290 before tax. 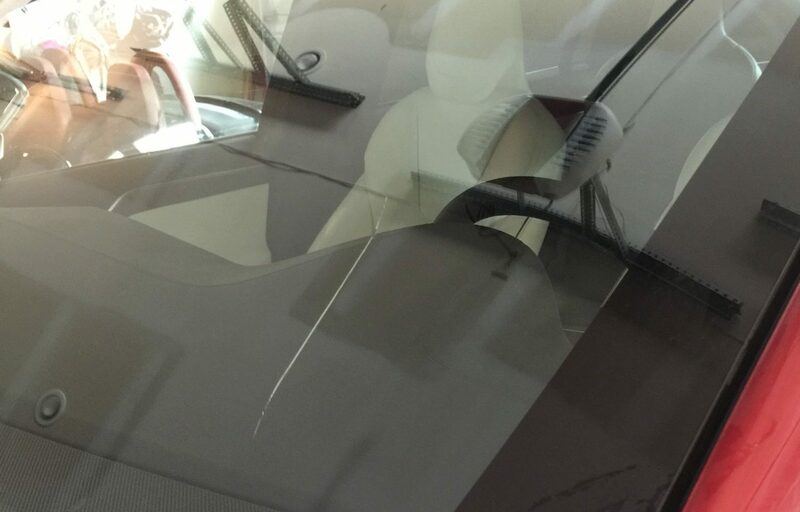 According to windshieldcost.com, windshield replacements for SUVs tend to cost between $200 – $400 without coverage, meaning that the Model X’s windshield is certainly expensive. Some states and countries require windshield damages to be covered under car insurance – so it’s worth looking into your policy. Earlier this year, we wrote a profile on Peru-based specialty glass maker AGP, Tesla’s supplier for the Model X’s panoramic windshield. AGP has long been involved in the development of panoramic car windshield and since Tesla introduced the Model X, the electric automaker has become one of its biggest client. The company recently built a new state-of-the-art facility to build the windshields.